How does a painter capture the colors of France? 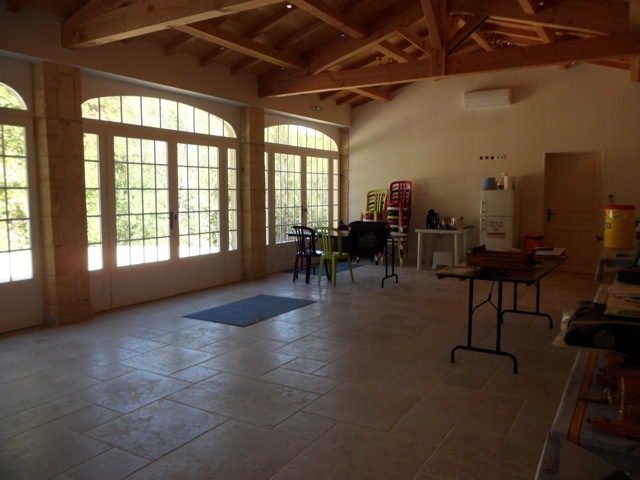 13 lucky artists will have a chance to find out when they travel with me next June to the Dordogne and Lot Valley and Domaine du Haut Baran. It will be a dream come true- painting the colors of France together! We’ll have a 7 day workshop – June 15-21, 2019 leaving on the 22nd. 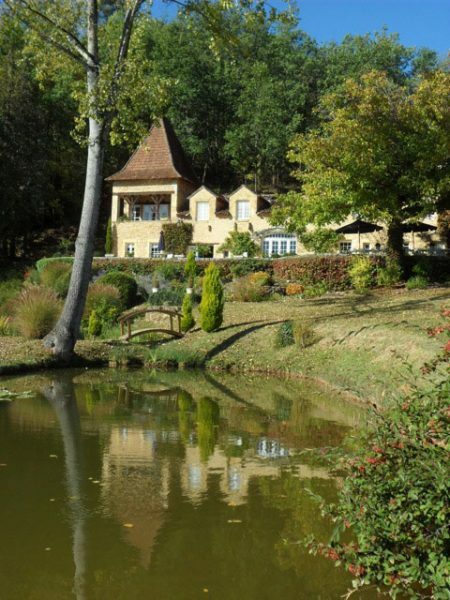 Domaine du Haut Baran is ideally situated in the region of France called the Perigord, Dordogne, Quercy. The area is known for small villages, prehistoric art, wine, wonderful food and antiques. You’ll find links to some of the many nearby attractions here. Our hosts, William and Rosalie will take care of everything. They will pick up our group in Toulouse, and transport us to the chateau, about 90 minutes north. Haut Baran offers modern accommodations in historical surroundings. You’ll enjoy continental breakfast on the terrace, evenings by the pool and jacuzzzi, an air-conditioned studio complete with french easels, dinners featuring regional cuisine and personalized tours to surrounding attractions. We’ll combine painting In watercolor on location with time in the studio. Our focus for the week will be color – glorious color…. from the buff and russets of time-worn stone and tile roofs to the brilliantly blooming lavender and vivid greens of the lush hills and valleys, you’ll explore it all. You deserve to explore with a group of like-minded artists, guided by a jovial host and expert instructor. You’ll find yourself immersed in color. The rhythm of the days will be both stimulating to artistic growth, and enjoyable. Some meals, personal items, tips, phone calls, and alcohol other than wine with dinner. Travel Insurance – Highly Recommended! Sample Itinerary – This will be customized to weather & group interests! Day 1: Arrival – Meet our group at Toulouse Blagnac Airport in front of the Information desk on the ground floor at 2:30 pm for our transfer to Haut Baran. Settle into your accomodations and relax, then enjoy a welcoming dinner at Haut Baran. Day 2: Breakfast 9:00 a.m. Orientation and settle in to the studio. Lunch at Haut Baran. Afternoon painting at Montcabriere. Dinner organized at a local restaurant. Day 3: Breakfast 8:00 a.m. Leave at 9:00 a.m. for our painting site at pont Valentre. 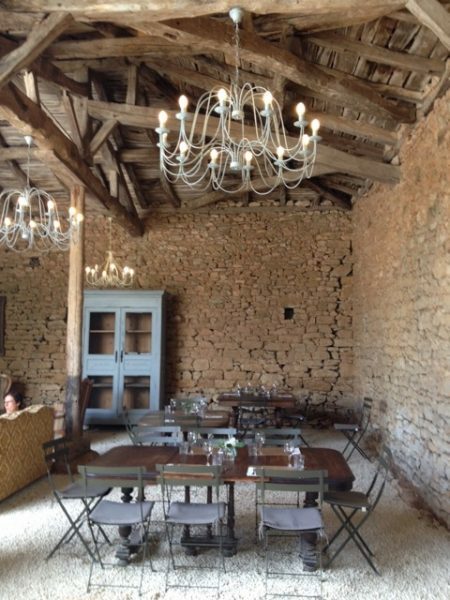 Lunch in Cahors. Dinner in a local restaurant. Day 5: Breakfast 8:00 a.m. 9:00 a.m. travel to painting site at Caillau (a 17th centry farm clos.) At 1 pm, we lunch at the Caillau. Afternoon in the studio and evening dinner at a local restaurant. Day 6: Breakfast 8:00 a.m. Drive to Monpazier, a beautiful bastide town built by English King Edward the 1st. Lunch in Monpazier. After lunch work in the studio. Dinner is Pizza night. Day 7: Breakfast 8:00 a.m., travel to Domme for our morning painting site. A pique nique lunch is provided. Afternoon in the studio and review of the week’s painting. Evening farewell dinner with champagne. Day 8: Depart Haut Baran at 6:00 a.m., arriving at Toulouse Blagnac Airport at 8:00 a.m, in time to check in for flights departing at 10:00 a.m. There has never been a better time to immerse yourself in the colors of France! Don’t be disappointed, space is limited for this trip. Register Here Click here to register now! I can’t wait to explore this beautiful region with YOU! What are room/bathrooms accomodations like? Are they shared rooms with individual baths or are bathrooms communal? Thanks for asking, Dona. Each room has its own bath. Rooms are double occupancy unless you pay a single supplement. I hope you can join us! What is the cost of the single supplement? The single supplement is $700. I hope you can join us! Ooh, lovely Chris – Vancouver Island sounds fantastic. My husband would would come along. We had a couple questions. First… Is the art cost included in this? Is the cave tour included? Also, we have never been to Europe before. If you have, could you give us an idea of what dinner costs at one of those restaurants, please? I hope you and Randy can join us, Cindy! Yes, the art instruction is included… use of easels, etc. All transportation is included, but admission to cultural sites (caves, etc) is not. Pretty sure this is USD. Hi Ruth, oh my this looks terrific!!! Would we need to bring art supplies or will they be there already? How much time per day will be spent painting? Is the workshop,suitable for someone who has never painted with watercolors? Thanks for writing, Deedee. The only things that would take you away from painting would be a. Watching a demonstration, b. Travel time to various locastions c. Touring sites like the Peche Merle Caves. As for experience level, the workshop is appropriate for all levels. Class size will be very small, allowing for lots of individual attention. If you prefer to work in another medium, that is fine too. I hope you can join us! I am thinking of going on your France trip. I would like to locate the city we will be staying in. Could you please give me some other towns that are close to it. Is it in the northern or southern part of France? I am a friend of Linda Hornbeck. Great! We’ll be in the Southern part of France, nearest the village of Puy l’Eveque in the Dordogne region. I hope you can join us! The website for the chateau is http://www.hautbaran.com/. You can see it is very well appointed!